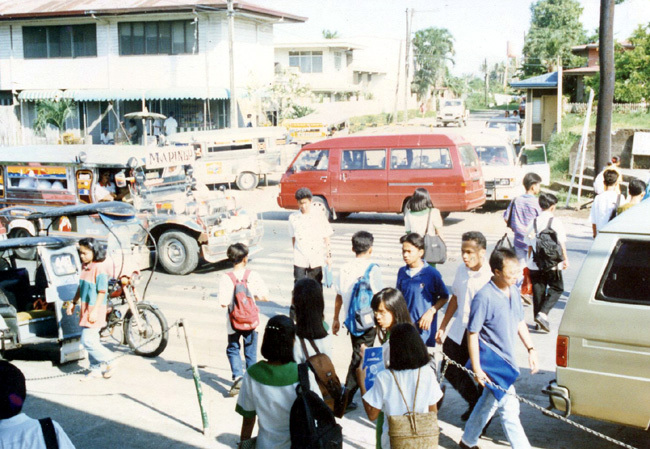 In the eighties, a family returned back to the Philippines after a stint living in the African nation of Liberia. 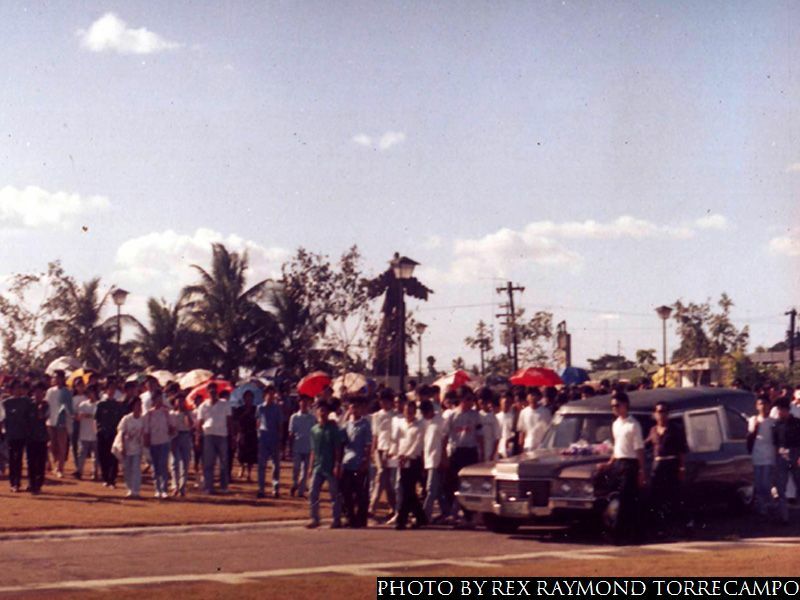 This was the Carbonilla family, which subsequently made its home in Batangas City. Initially, three of the family’s boys went to the school where I still work. Coming from the African continent as they did, all boys – naturally – played football. The eldest of the three played some inter-class football; but never got around to actually trying out for the school team. The younger two boys did play – and with distinction! Erik, the second-oldest, became the regular right fullback of the powerful 1989 high school team. He was the proverbial hard man of LSFC football, somebody who would have willingly kicked his own grandmother in the rear if it was necessary to win a game of football. 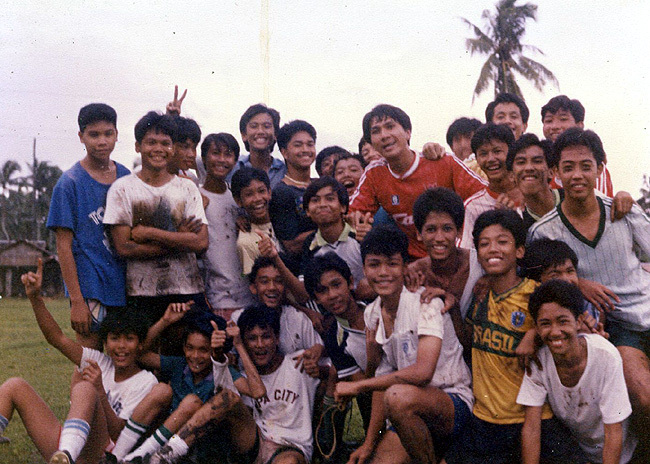 Joel, the third of the brood, took over the midfield generalship after Eduardo Marasigan Jr. – the first LSFC player to suit up for the Philippine National Team – graduated in 1988. He was blessed with close ball control so that it seemed, when he was in possession, as though the ball was glued to his feet. 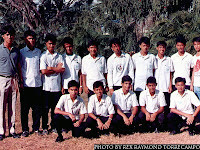 Joel fitted seamlessly into the gap created by Marasigan’s departure; so that the 1989 team – if anything – was even more powerful and successful than the previous year’s squad. 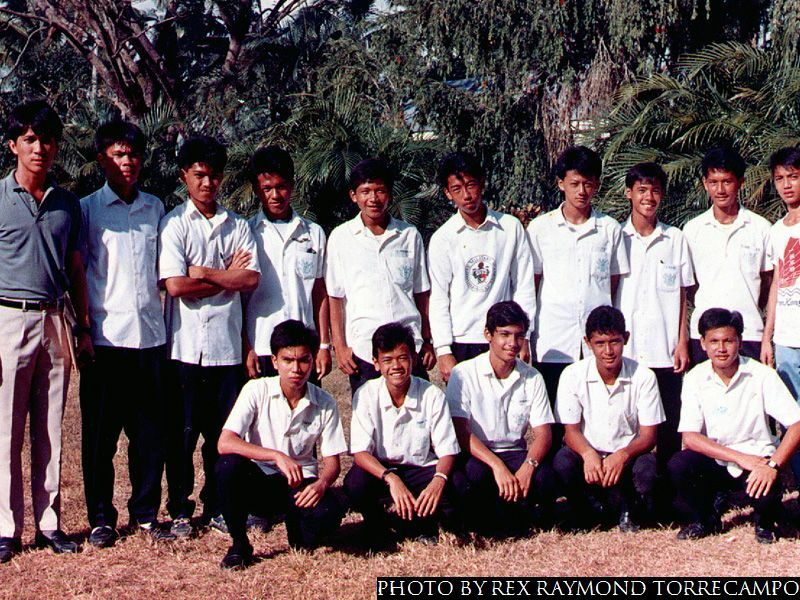 The fourth Carbonilla boy – and the third to join the school team – did not arrive until June 1989. His name was Ariel; and he transferred to the school on his third year in high school. Unlike the two older brothers who joined the team practically already the finished products, Ariel was the first of the trio who I had to coach practically from the basics. He did not possess the ruthless streak of Erik to have become an effective defender; neither did he have the silky ball control of Joel to have become a midfield general. 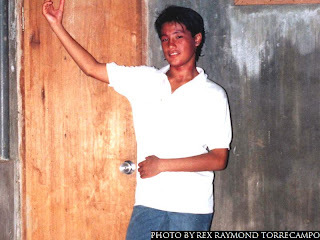 Instead, this Carbonilla – I knew almost from the beginning – was going to be a striker. He was not particularly fast. However, he was taller than either of his two older brothers and could shield the ball away from opposing defenders. He looked to me, therefore, like a natural target man. To those not into football, this was the attacking player who played where defenders tend to keep themselves tightly positioned in front of goal. His role was to hold onto the ball and to attract players to himself so that other attacking players could get some space to be able to shoot at goal. This Ariel did almost to perfection. Whenever he found shooting space for himself, he had enough finishing skills to poach a goal or two for his team. He was turning out to be a real team asset in his own way. Unlike Erik and Joel, who were both pragmatic in their approach to their football, Ariel was – however – the one with the artist’s temperament. On occasions, he tended to be sulky; and there were times when he went missing from training altogether. There seemed little change about him during his senior year in school, particularly the first half of it. He was still prone to mood changes and would still miss the occasional training session. 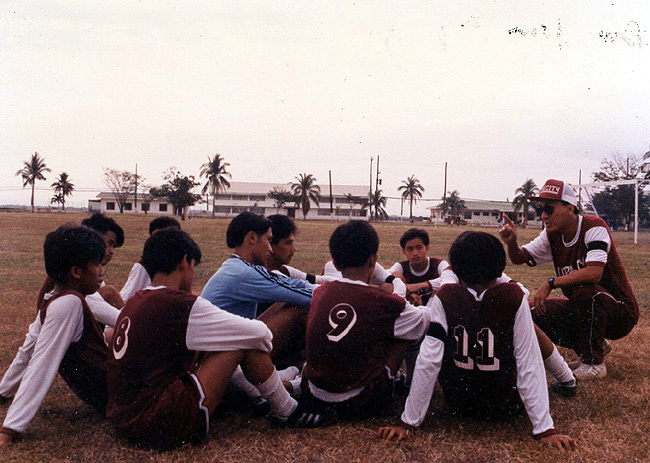 Then, when we began training for the Southern Tagalog Regional Athletic Association (STRAA) in December 1990, it was as if somebody touched the ACTIVATE button inside his head and – almost imperceptibly at first – he suddenly transformed himself into a model athlete. He started attending each and every training session; and when he really had to skip one, he came to me with profuse apologies. Moreover, when he trained, he did so diligently. I was amazed, in particular, at how determined he was to undergo the dreaded abdominal exercises. He used to abhor these! By January – and just a few weeks before we departed for Cavite City to participate in the STRAA – Ariel was fitter and stronger than he had ever been since he first joined my team. Nobody could have guessed that it was not the STRAA that he was really preparing for. By midday of January 11, I had just gone through a luncheon Principal’s Council meeting. One of my other players was walking with friends along the corridor across where we just had our meeting. He saw me and I waved to him. He waved back and – with a grin on his face – hollered to me across the garden that Ariel was just in an accident in front of school. The boy must have thought it was a minor accident and that Ariel was really alright. I was unhurried and not at all worried when I went back to my office to return my stuff. Having done so, I went out to investigate what the fuss was all about. I met some people who could only give vague information about what transpired; but I knew Ariel had been taken to the hospital. I took a jeepney for the short trip uptown; and once inside the hospital, I headed straight to the Emergency Room. What I saw is still vividly etched inside my head to this very day, so that I am being filled with a rush of emotions even as I type this story. Ariel was lying motionless on the Emergency Room bed, his shirt hitched up to his chest as doctors desperately tried to revive him. Across his belly was a terrifyingly huge tire mark. I took one look and immediately broke down. I had never seen anything like that in my whole life before; and the fact that I was seeing it on the belly of a young boy who trained with me day in and day out sent a chill racing up my spine. One look and I immediately knew Ariel was not going to make it. Some of his teammates had already arrived at the hospital and were nervously waiting outside the Emergency Room. A few of the boys tried to console me as I came out crying shamelessly. None of the boys, I later learned, had even realized that their teammate was gone. 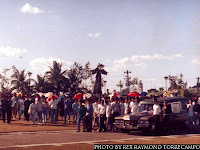 It was only when one of the doctors came out of the Emergency Room shaking his head while saying Ariel had succumbed to severe internal injuries that each and everyone of the boys started crying. We were a right sorry lot crying our hearts out at the hospital lobby staircase! Later, we managed to put together from people’s stories what exactly happened. It was lunch break and he was just trying to cross over to the other side of the road. He never got there! He was halfway through when somebody from the school called out to him. He looked back; as he did so, he was swiped by a passing truck. As he sprawled on the road, as fate would have it, a bus was coming and did not have time to stop from running over him. One of the doctors in the Emergency Room remarked that – as though there was any consolation to it – at least Ariel’s stomach muscles were firm enough to withstand the weight of the bus above it. It is funny how many stories there are of people who pass away seeming to have had some sort of premonition about their departure from the earthly plane. Immediately I realized why Ariel, who used to abhor abdominal exercises, had begun doing these diligently. “Football is life; and life is hard.” This was just one of the many things I just blurted out almost spontaneously in post-training briefings; and not that I even deluded myself that anybody was really paying attention or that anybody cared. Ariel did! I saw this once doodled on one of his notebooks. Indeed, among the hardships my players underwent within the course of our trying to mold ourselves into a team, here was something nobody had braced himself for: the loss of a beloved teammate. Football is life, indeed – and here we all were forced to accept that life could be taken away without prior notice! That it was the life of a young boy – somebody who had every right to look forward to many, many more years ahead of him – made it almost unbearable. This story, my friends, happened almost all of twenty years ago; and I remember that day as though it happened only yesterday. Ariel would be – what? – but for the accident either 36 or 37 this year. On January 11, please everybody say a silent prayer on what is the twentieth death anniversary of Ariel Carbonilla, LSFC 1991.